Does it happen to you when you eat lots of pork, chicken or beef during weekdays that you want to enjoy a simple dish on weekends? It happens a lot in my case. I always bring my packed lunch in the office which my mom cooked the night before. Most of the time it’s either pork, chicken or beef. This weekend, I just want to enjoy a simple meal that is also simple to prepare. What is more simple than a humble canned sardines, right? However, I still want to spice it up a little by adding sotanghon. 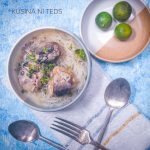 This sardines sotanghon recipe is so easy to prepare. 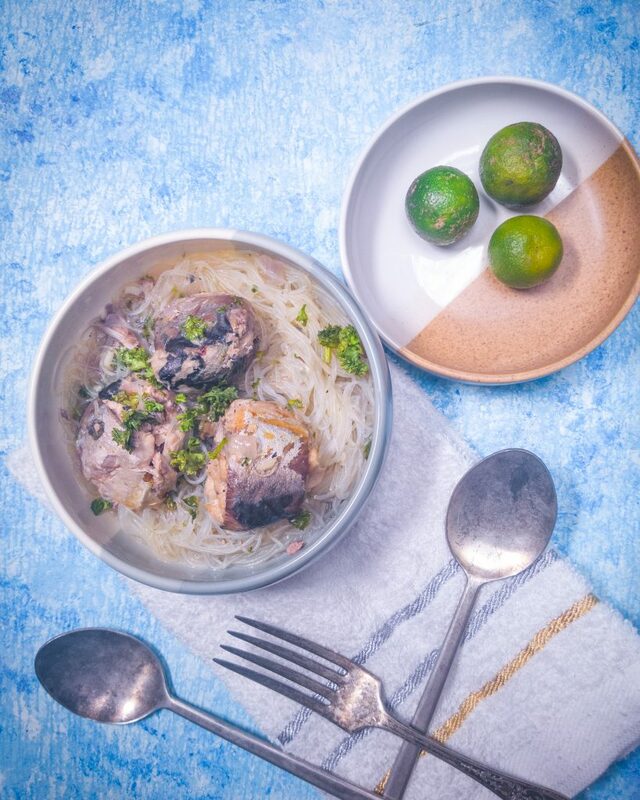 It’s just canned sardines and a small pack of sotanghon or vermicelli rice noodles. You can use the sardines in tomato sauce but I prefer the sardines in natural oil. For this sardines sotanghon recipe I used the most trusted Hokkaido sardines or mackerel in natural oil. I used three 155 gram can and a 45 gram sotanghan. Everything is so easy. Simply saute your garlic and onion in olive oil, then add your sardines and a cup of water. Season with salt and pepper then add your sotanghon. Then, drizzle with calamansi to lessen the fishy taste. You can opt not to add a cup of water but the sotanghon will absorb the liquid from the canned sardines. Don’t worry, a cup of water will not reduce the flavor of the canned sardines. Saute garlic and onion into the olive oil. Add canned sardines. You can slightly break up the fish meat or cook it as is. Add water and let it simmer for 5 minutes. Add Sotanghon or vermicelli rice noodles and simmer until the noodle is cooked. When the ssotanghon turned trasparent it means it’s done. Drizzle the dish with calamansi and season with salt and pepper. Served with hot steamed rice. Garnish with chopped parsley which is totally optional.